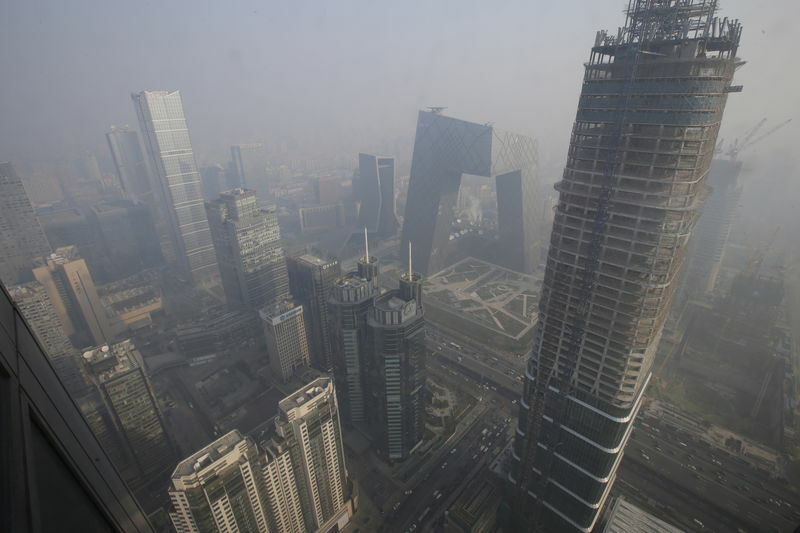 SHANGHAI (Reuters) – China’s pollution control efforts are coming under increasing pressure from the nation’s slowing economy and officials must not drop their guard this winter, the country’s environment minister said in remarks published on Monday. At a meeting last week, Minister of Ecology and Environment Li Ganjie told officials that China’s clean-up campaign was becoming “increasingly complex”, according to details of the meeting published by the ministry’s official publication, China Environmental News. Chinese President Xi Jinping earlier this year promised to use the full might of the Communist Party to tackle the country’s longstanding environmental problems, but the government is also trying to ensure the war on pollution does not disrupt an already slowing economy. After shutting down huge swathes of industry last winter to meet politically crucial smog targets, it has promised to take a more flexible approach this year, giving local governments the power to set their own goals. But while China is “ahead of schedule” when it comes to curbing pollution, the environment now faced an increasing number of challenges as a result of slowing growth, structural economic adjustments, widening regional disparities and unfavorable weather conditions, environment minister Li told officials. China’s economy experienced its slowest quarter since 2009 from July to September this year, with gross domestic product rising 6.5 percent compared to a year earlier. Industrial profits also slowed for the fifth consecutive month in September. But though China is taking action to try to stimulate growth, several key regions are still about to embark on a winter campaign against smog that is expected to force hundreds of factories to cut production. The major manufacturing hub of Jiangsu in eastern China and the top steel producing region of Hebei in the north will both impose production cuts of between 30-50 percent this winter, and other cities in the north are under pressure to meet air quality targets. The government has already worked to try to minimize the economic impact of the crackdowns on the economy, and has repeatedly promised to put an end to the “one size fits all” measures that forced factories to shut down whether they had implemented pollution controls or not. At the meeting last week, Li said China would draw up more detailed guidelines to help prevent such behavior this year, and would also establish dedicated investigative teams to help eliminate the practice.